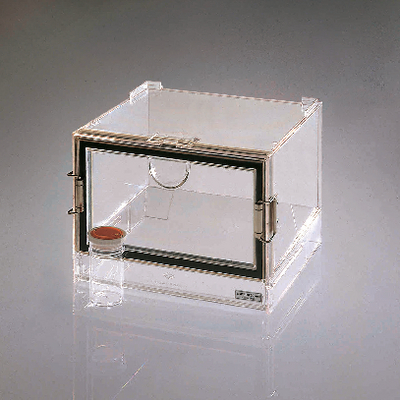 The foam gasket plus two roller latches in the door maintain a tight seal for proper drying conditions and the clear door disappears neatly under the unit when opened. Strong high-impact polystyrene allows you to stack up to five cabinets. A jar of silica gel, for moisture absorption, is included.